This Slipstream 714F model sports a black and bronze titanium handle and a CPM-S35VN steel blade with satin flats and black finished grinds. The WE Knife Co. Slipstream offers a streamlined titanium build for maximized everyday carry comfort. A slim titanium handle provides a positive grip, and will slip in and out of your pockets with none of that awkward bulkiness. 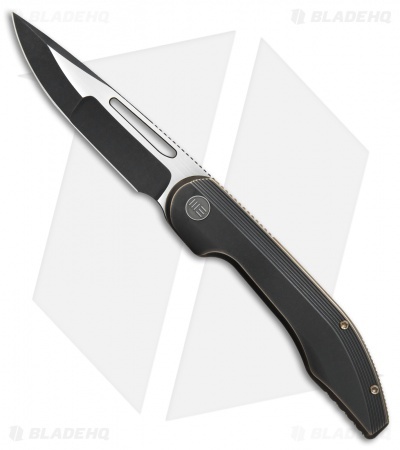 The sleek, two-tone blade extends naturally from the handle, providing the clean lines that WE Knife Co. is known for. It has a compound grind edge for cutting versatility and modernized style. 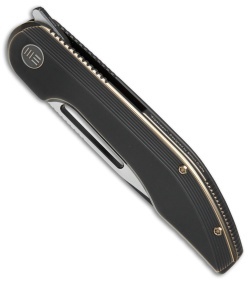 Add a modern classic to your EDC rotation with the We Knife Co. Slipstream. 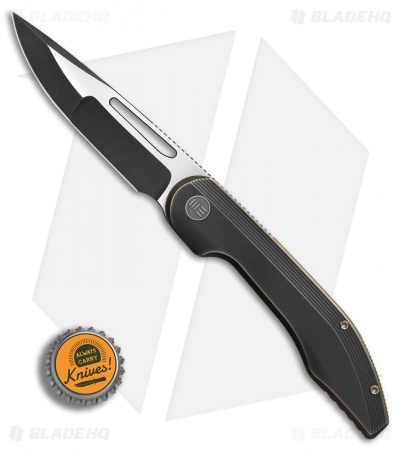 Blade flipper and a ceramic ball bearing pivot offer silky smooth blade deployment. Titanium frame lock with a steel reinforced lock bar for dependable blade lock up. 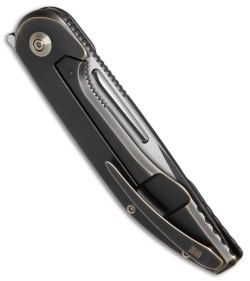 Includes a titanium clip for comfortable tip-up pocket carry. I was expecting the fit, finish, and action to be spot on as that’s what we’ve come to expect from companies like WE at this price point. What really impressed me was the subtle changes in hues and perceived depth on the frame. This one truly sits at a higher standard as it positively reeks of class. Sadly, the pictures do not capture any of this. Get one.